Energizers Wednesdays take place in the Dining Room and Gym at Holy Apostles from 7:00pm to 8:30pm on Wednesdays from September to May. The first Energizers Wednesday Meeting for the 2018-2019 year will be September 19th! Feel free to join at any time. PODs - which stands for Place Of Discipleship - is a group for middle school youth in grades 7-8 who desire to be involved in a program where they can discuss topics of/relating to faith on a deeper level, in a small group setting. Some discussion topics will be generated by youth, while adult leaders provide the rest. The PODs program also aims to develop participants into disciples that help lead their peers closer to Christ. PODs is a program that runs in cooperation with our larger Energizers Middle School Youth Ministry meetings on Wednesday evenings. 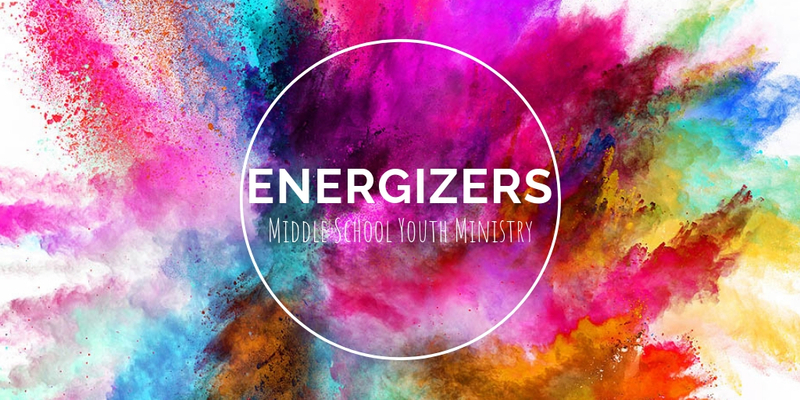 Therefore, youth registered for PODs are also asked to participate in Energizers on Wednesday evenings.